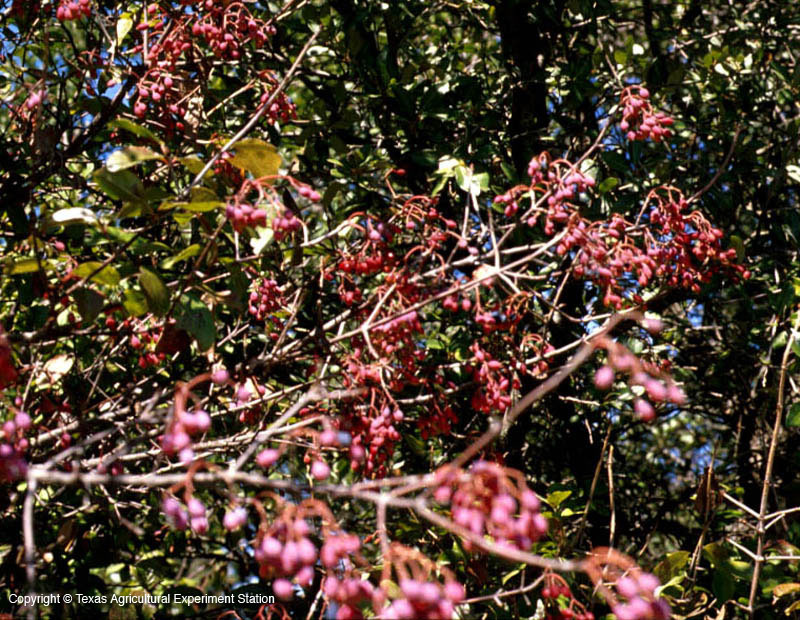 Rusty Blackhaw grows from east to central Texas along streams or woodland edges, and can be a small 30 foot tree or a 10 foot shrub, depending on its environment. Although it is generally an understory tree, it is most attractive in the open in full sun. 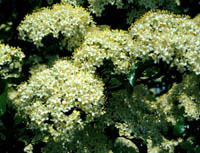 It has lustrous bright green glossy leaves, beautiful clusters of white flowers in spring, and attractive blue fruit in fall. The leaves turn pink to mauve to dark purple in autumn. 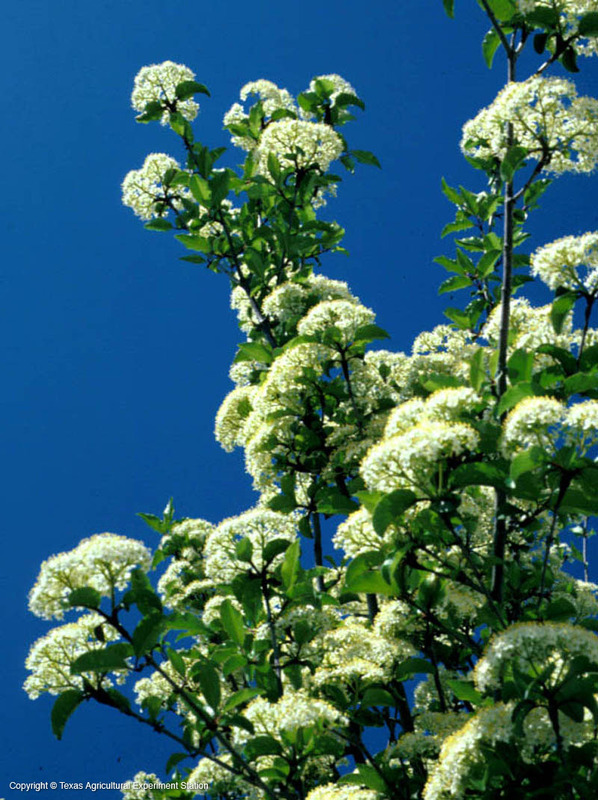 Rusty Blackhaw can grow on almost any soil as long as it is fairly well drained. In shaded, moist areas, it usually occurs as a single tree, although there may be two or three in an area. In areas with less rainfall, however, it occurs on exposed calcareous hillsides in drifts and groves of sometimes up to 100 plants.